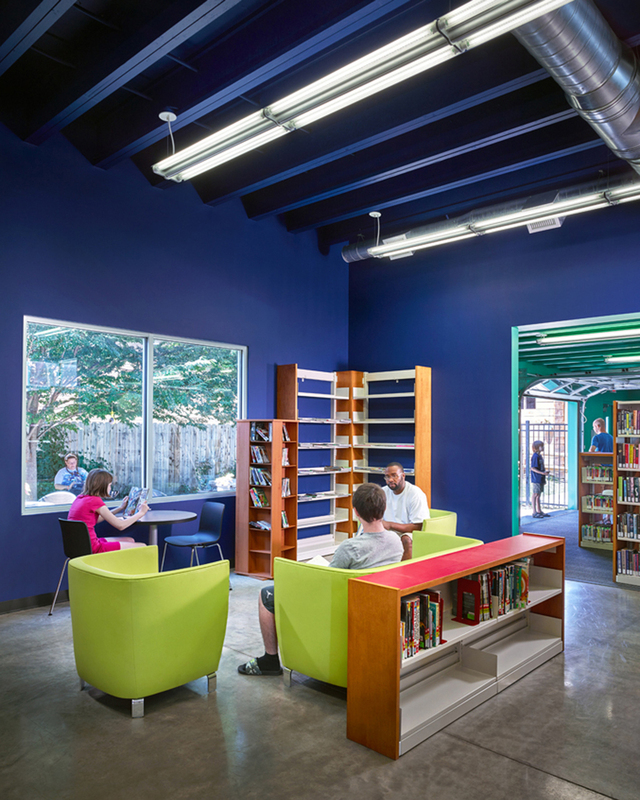 From a one-story concrete-block building to a daring community center, Pittsburgh Quarterly describes Front Studio's design for the Sharpsburg Community Library as "an effective metaphor for the experience of the library as a place where a community assembles." The project accommodates many activities with a high level of thoughtfulness, organization and attention to detail, all while working within a tight budget. The library is approachable, cheerful and enlivening. It engages people’s bodies, minds and imaginations, serving as a gem for the small community. "The sight, for instance, of the binding of a book once read may weave into the characters of its title the moonlight of a distant summer night." —Proust, Marcel. Time Regained. 289.